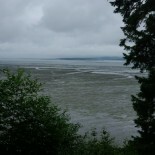 It was Jeff’s tip that aimed us towards Willapa Bay. 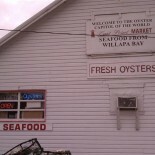 He mentioned an oyster place he liked, located right on the bay in Bay Center. We found Bay Center, but we never found the restaurant. 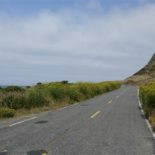 We drove every road in town, some of them twice, a couple three times, and couldn’t find it. But we found a whole lot more. We needed a snack as we rolled through South Bend, WA in the afternoon. 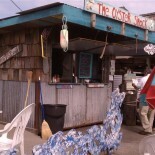 Yelp pointed us towards Oyster Shack. 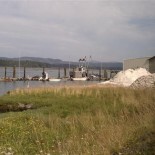 Oysters here are $1.50 per, steep for being so close to their harvest. At Indian Pass, I had six oysters for $4.50. Here, six cost $9 – twice as much. Luckily, they were good (though not twice as good and the place didn’t have self-serve beer, or any beer). I got a half-dozen. Lisa got the shrimp cocktail. The oysters were as expected, the shrimp cocktail was not. Instead of being large, the shrimp were tiny. Turns out these are caught just outside the bay. They’re small, yes, but they are also delicious. Maybe size doesn’t matter. All the online reviews warned us about the slow service, so we expected that going in. “But even if the food is bad,” I said to Lisa, “they won’t be able to screw up the beer.” River View Dining doesn’t serve beer. They only serve soda. Getting over that, we got our menus and sat down. The guy running the show said we’d have to wait a bit before he could take our order then he sped off, bouncing around the place like a pinball. The other thing the reviews mentioned were the grilled oysters. I decided I’d have those. Lisa was keen to try the pulled pork after waffling and debating a bit. Then we waited. Then we ordered. I asked for the grilled oysters. “Don’t have those today,” the gent said. “We sold out. Only get so many fresh each day. Don’t know how many people will show up.” Ok. Ok. I ordered the oyster sandwich instead. Pulled pork wasn’t a problem. Our order was in. The food took about as long as you’d expect – not overly fast and not slow. Just the ordering part was slow. The food was delicious. Lisa’s pulled pork was flavorful and rich and seemed infused with chorizo spices. 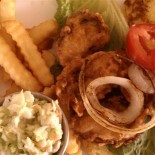 My oyster sandwich was packed with four massive fresh oysters fried to perfection. The fries were crinkle-cut factory types, but they were cooked perfectly (meaning longer than most places seem to cook them – deep golden brown). I topped my sandwich with some Tapatío hot sauce and the horseradish-heavy house cocktail sauce and was in heaven. Delicious. Nearby, a couple of geriatric picky eaters asked about the “fresh” options. “Everything is fresh,” the man said. 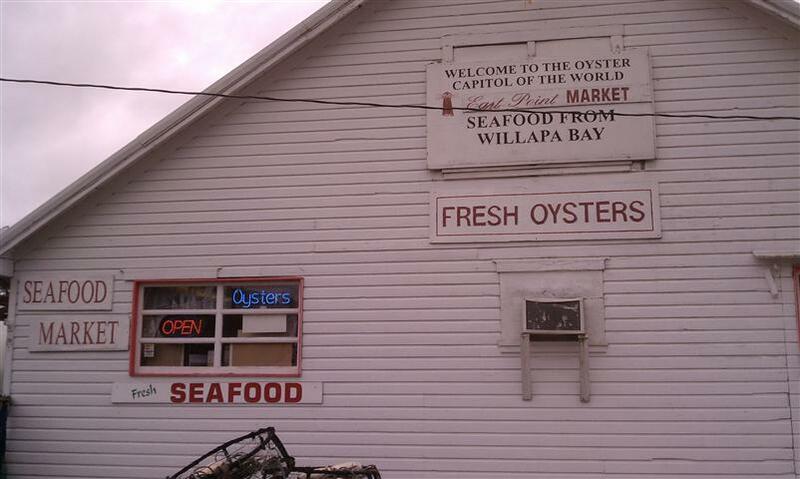 “The oysters are fresh, the fish is fresh, we make the tortillas for the tacos fresh.” There was no Halibut, though. The prices had risen too high for the place to carry it. It wouldn’t matter though. These two were the types never to be satisfied. We left before they ordered. After dinner we were itching for a drink, so we headed across the street to Chester’s Tavern. 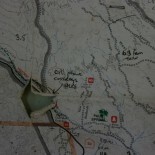 (After the fact, we find out we’re not the first to discover this place.) A birthday party was winding down and there was a cake out on the pool table. We ordered two Rogue beers at $3.50 per and settled in. Before long, we were being chatted up by the guy next to us at the bar and the female bartender. They had oysters in the back, but I was stuffed. “I just got a VW Westfalia,” our neighbor at the bar was telling us. It was one of the ’80s models and everything worked. I was jealous. I want one of those. We asked him where he’d take it first. “Yeah, I used to work at the plant down the street. Kept all the machinery running.” He was talking about one of the canneries. We asked him what they sold. It was at Chester’s that we learned about the area’s local shrimp. The town ate well. 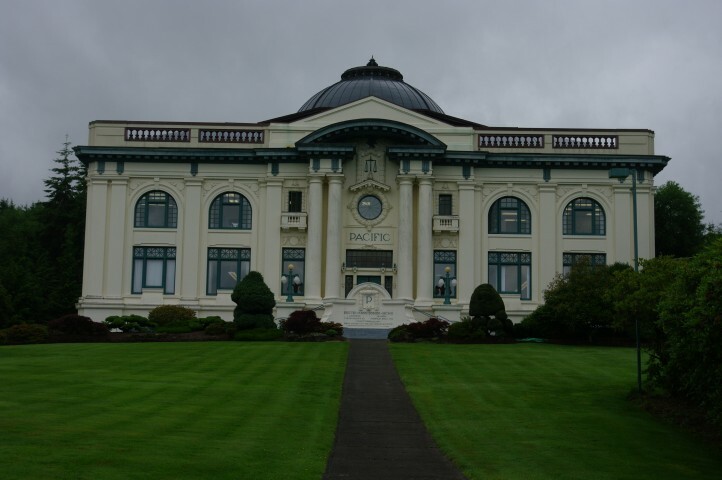 Or, more accurately, you could eat pretty well in this town if you knew where to look. Where to look was East Point Market. We decided to head there the next day. After the tip at Chester’s, we decided to visit East Point the next day before leaving town. I’m glad we did. 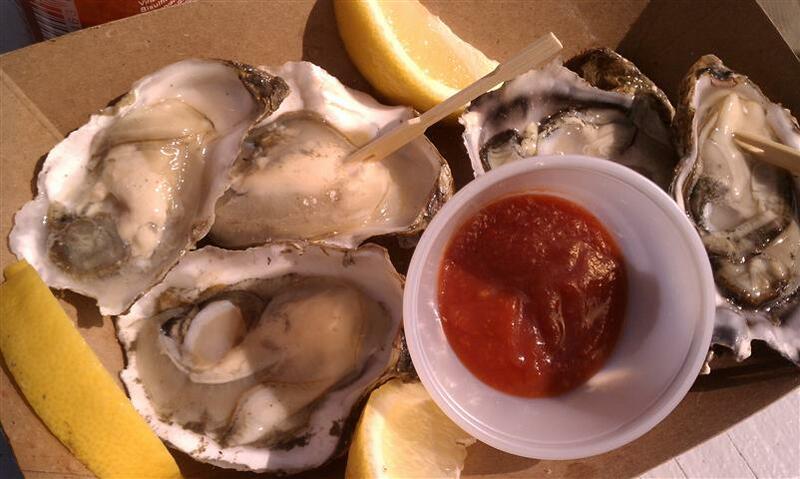 They had oysters for sale for $3.50 a half-dozen. $3.50! Insane, but not quite as insane as the markup 400 yards down the road. 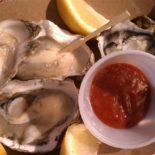 Want oysters in South Bend? Get them here. I almost got some for breakfast. 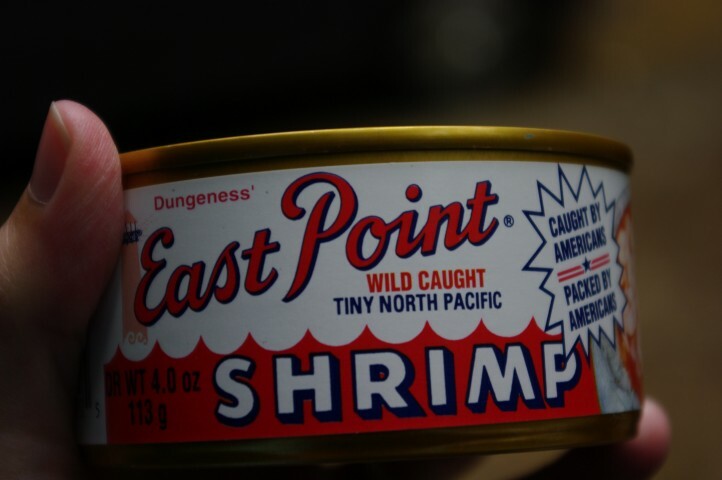 Instead, we grabbed a can of the shrimp, the regular tuna, and the garlic-jalapeno tuna. Upon doing so, the woman running the place pointed out the 3-pack gift set that would save us a few dollars (and contained the same three cans). 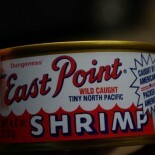 We grabbed one of those instead then put our savings towards some smoked sturgeon (canned down the street). I sampled one of their smoked oysters then instantly regretted it. No other smoked oyster would ever compare. Smoked oysters from the grocery store were now ruined. Luckily they ship. We just need an address. Later, we found that the tuna was, as promised, canned in a massive single chunk. It was great – the best canned tuna we’ve ever had. When we have an address, I’ll order it by the case and hand it out to my neighbors. They’ll call me Johnny Tunaseed. I’ll even convert Jessica Simpson. So South Bend is a good town. 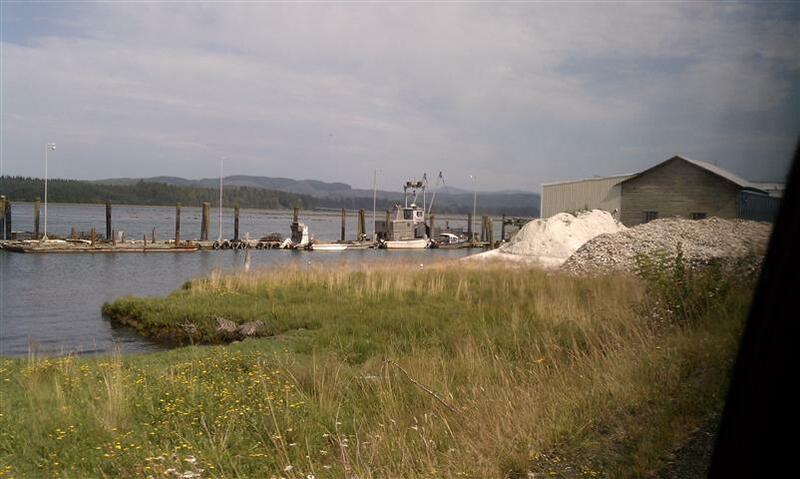 The Willapa Bay produces 9% of all oysters produced by the US, a huge chunk of the country’s supply. Unfortunately, they’re spraying pesticides nearby to stop the spread of an invasive grass and ‘control’ other pests. Yuck. I shouldn’t have just read Silent Spring. However, along the Gulf Coast there’s the oil spill and the dispersants. It’s tough to win. Still, it’s a great place and is wildly undeveloped. Cannery Row, this ain’t. Thank goodness. 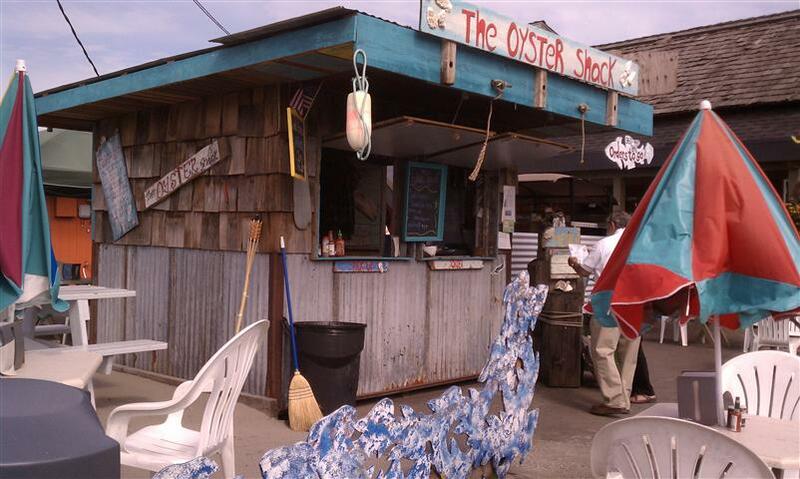 Oyster Shack, South Bend, WA. Oysters at Oyster Shack, South Bend, WA. 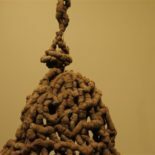 Mounds of oyster shells. They’re everywhere! 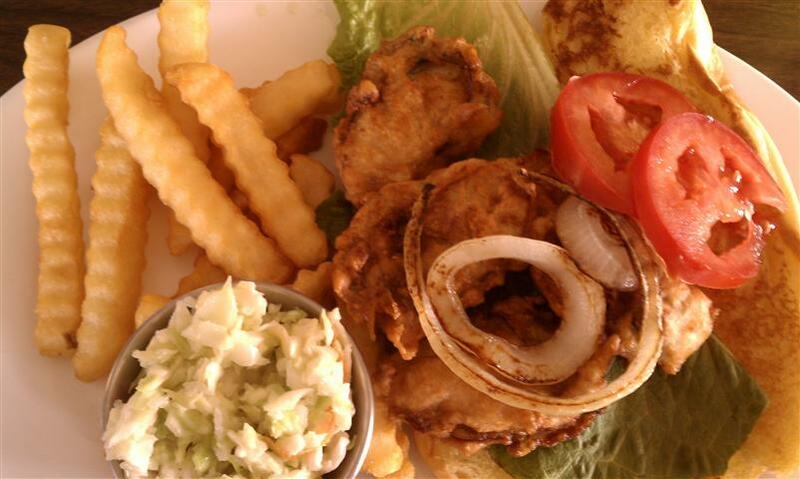 Oyster Sandwich at River View Dining. Worth the wait. 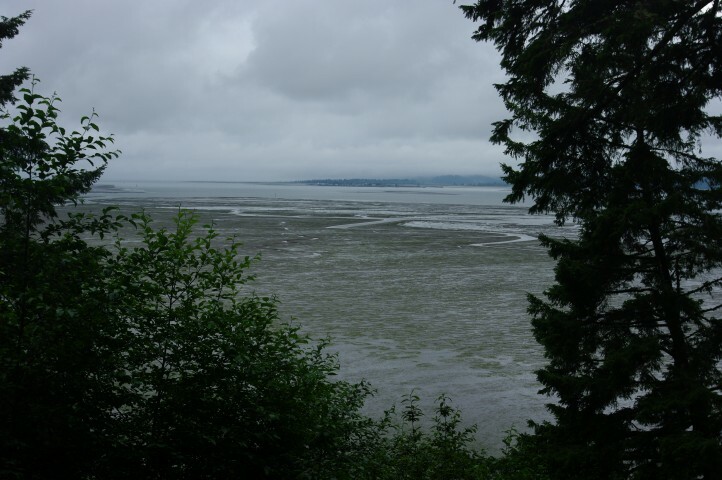 The Willapa Bay at low tide. 1/2 of all the water drains out during tidal changes. 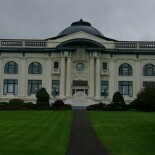 South Bend’s Pacific County Courthouse.